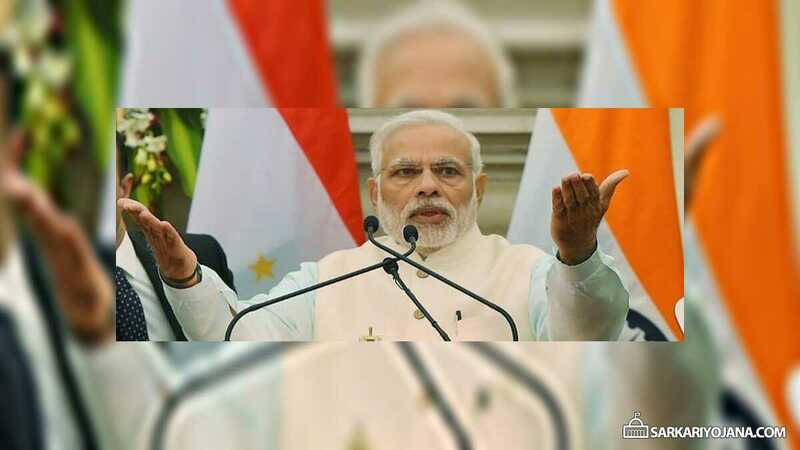 जानिए msme सेक्टर को बढ़ावा देने के लिए क्या हैं प्रधानमंत्री मोदी की १२ घोषणाएं? PM Narendra Modi has launched historic Support and Outreach Programme for micro, small and medium enterprises (MSME) sector. This Samveg scheme will give momentum to celebrate the role of MSMEs in the development of the nation as MSME sector is a nursery of entrepreneurship driven by an individual’s creativity and innovation. As a part of this programme, PM has announced 12 key initiatives to foster the growth, expansion and facilitation of MSMEs across the country. MSME Support and Outreach Initiative has 5 key aspects to facilitate the MSME sector. These aspects includes access to credit, access to market, technology upgradation, ease of doing business and sense of security for employees. The 12 announcements by PM Modi will address these 5 categories and is a Diwali gift to the MSME sector. MSME is one of the principal sectors to generates employment opportunities in India by benefiting small scale industries. In the recently published “Ease of Doing Business” rankings, the rank of India has come down from 142 to 77 in the past 4 years due to the successful economic reforms. First Initiative – As the 1st announcement, PM launches psbloansin59minutes.com which is a 59 minute portal to enable easy credits to MSMEs. At this portal, govt. will grant in-principle approval for business loans upto Rs. 1 crore in just 59 minutes. A link to this portal is also available at the GST portal to ensure that nobody is compelled to visit bank branches repeatedly. Second Initiative – PM Modi has made 2nd announcement as 2% interest subvention for all GST registered MSMEs on fresh or incremental loans. Interest rebate has been hiked from 3% to 5% for exporters who receive loans in the pre-shipment and post-shipment period. Third Initiative – As 3rd announcement, all companies with an annual turnover of more than Rs. 500 crore must now mandatorily be brought on the Trade Receivables e-Discounting System (TReDS). On joining this portal, entrepreneurs would be able to access credits from banks based on their upcoming receivables. This initiative is going to resolve the problem of cash cycle. Fourth Initiative – To provide access to markets for entrepreneurs, the central govt. has already taken a number of initiatives. The 4th announcement is that the public sector companies have now been asked to compulsorily procure 25% instead of 20% of their total purchases from MSMEs. Fifth Initiative – The 5th announcement is related to women entrepreneurs in which out of the 25% procurement mandated from MSMEs, 3% must now be reserved for women entrepreneurs. Around 1.5 lakh suppliers are registered with GeM out of which 40,000 are MSMEs. Till date, transactions worth more than Rs. 14,000 crore have been made through GeM. Sixth Initiative – The 6th announcement is that from now onward, all the public sector undertakings of the central government must compulsorily be a part of GeM. It is also mandatory for the PSUs to get all their vendors registered on GeM. PM Modi said that tool rooms are a vital part of product design which is related to upgradation of technology. In the 7th announcement, PM mentioned that 20 hubs will be formed across the country and 100 spokes will be established to be used as tool rooms. Eight Initiative – The 8th announcement is related to Pharma companies which stated that clusters will be formed of pharma MSMEs. PM said that 70% of the total cost for establishment of these clusters would be borne by the central government. Ninth Initiative – In the 9th announcement, PM mentioned that all the government procedures are going to be simplified. Moreover, the return under 8 labour laws and 10 union regulations needs to be filed only one time in a single year. Tenth Initiative – In the 10th announcement, PM said that the establishments to be visited by an Inspector will be decided through a computerized random allotment. Eleventh Initiative – To establish a unit, an entrepreneur needs 2 clearance namely envirinmental clearance and consent to establish. So, the 11th announcement is that under the air pollution and water pollution laws, now both these clearances have been merged as a single consent. Moreover, the return will be accepted through self-certification. Twelfth Initiative – In the 12th announcement, PM mentioned that an ordinance has been brought in which, for minor violations under the Companies Act, the entrepreneur will no longer have to approach the Courts. For such violations, entrepreneurs can correct them through simple procedures. PM Modi also intends to provide social security for the employees in MSME sector. For this purpose, the central govt. would launch a mission to ensure that these employees possess jan dhan accounts, provident fund and insurance facilities. PM said that these 12 decisions would go a long way to help MSME sector in India and also the implementation of this outreach programme would be intensively monitored over the next 100 days.